There is no universally accepted definition of asthma, while the recent advance terminology has described it, as a complex and chronic inflammatory disorder of the lungs. However, it is characterized by narrowing and blocking of the airways causing difficulty in the normal breathing system. The common symptoms of the asthma are wheezing sounds, sneezing, coughing, chest tightness and shortness of breath. The asthma and allergies are interconnected and completely substantiated to each other. It is very difficult to discuss one problem without the other. Can healthy eating help you with easier breathing? Robert Graham, MD, (an internist at Lenox Hill Hospital, New York) says there is absolutely no food that can cure asthma, but there are the certain diet factors that one could be blended to help. Research has suggested some dietary control guidelines which tells, what to eat that can possibly manage the asthma and may prevent you from the symptoms to worsen it. Many significant evidences have shown that adequate amounts of particular nutrients can may impact the progression of asthma. Surprisingly, the regular intake of a balanced diet, which contains adequate amount of nutrients such as vitamin A, vitamin C and E, selenium, sodium as well as antioxidants, is a crucial step for asthma management. By following the simple diet plan, you may lessen your dependence over conventional medicines. We all know the benefits of apples, but did you know that it also helps us in reducing asthmatic attacks? 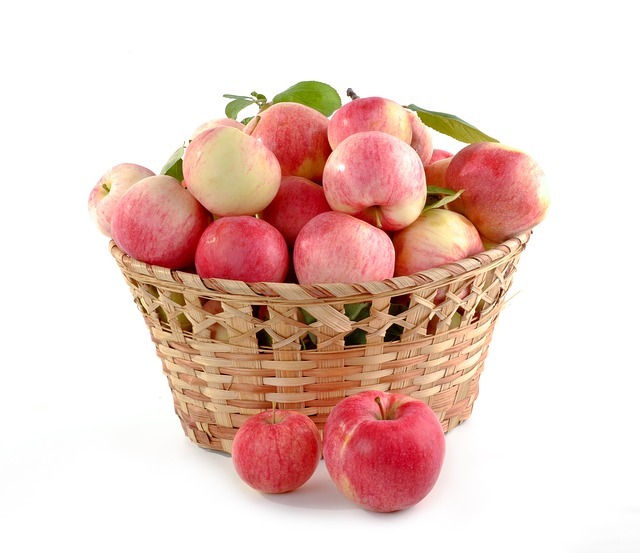 The apples contain powerful antioxidants which are especially present in peel of red apples, also provides antihistamine and anti-inflammatory action naturally. A study by British researchers reported that two to five apples in a week may lowers 32% risks of asthmatic attacks than those who eat less. They speculate that it contains a useful compound kheline(flavonoid)is responsible for the opening of the airways. Citrus fruits are potent antioxidant that may fight against inflammation and free radicals. Although citrus fruits have a superabundance of vitamin C that boost up your immune system and clears the mucus caused by asthma and allergies. The sources of vitamin C are oranges, guavas, strawberries, green leafy vegetables and lemons. Fish oil and flax seed, are the richest source of omega-3 fatty acids, which have beneficial effects on asthma and also reduces the side effects of asthma medications. Magnesium is also present in flax seeds, it is a useful ingredient that relaxes the muscles of bronchi and keep them open. Carrots, sweet potatoes and peppers and famous for containing beta-carotene. A particular studies suggested that beta-carotene lowers the incidences of exercise-induce asthma. A hot chili pepper and garlic, serve as a powerful anti-antioxidant as well as an anti-inflammatory agent. Garlic contains allicin that decays in the body and reduces the free radicals. While hot chilies are enriched with vitamin C, that definitely clears the mucus secretion and boost up the respiratory health. Avocados are the powerful anti-inflammatory agents. It contains antioxidants known as, glutathione, and carotenoid. They basically promote the health, clears the free-radicals and protect the cell against damage. A particular study has revealed that salad with avocados usually absorbs five times more carotenoid (antioxidant) than without including it.